It’s simple, but it is so powerful…As adults, we seem to lose our ability to ask. But, here’s what you need to understand: The world responds to those who ask. So let’s start using that in your favor! Here are 7 big ways to boost your business using the power of asking that will help you become more profitable. If you want to learn other ways that you can change your life, click the link and get the first two chapters of my book The Success Principles. To win potential new clients, you first need to know what their current challenges are, what they want to accomplish, and how they plan to do it. Ask questions, starting with the words who, why, what, where, when and how, to obtain all the information you need. This is called the discovery process. Repeat this process until you have explored this topic as fully as you need to. So practice asking simple, direct questions. Be attentive. Listen well, and learn to read between the lines. Here’s an amazing statistic: After doing a complete presentation about the benefits of their product or service, more than 60% of the time salespeople never ask for the order. If you want business, you must always ask. Don’t waffle, or talk around it, or even worse, wait for your prospect to ask you. The point is, just ask. Also, make sure your closing question is designed to produce a “Yes” or “No” answer, unlike your earlier questions in the discovery process, where all you really want is more information. Well-written, results-oriented testimonials from highly respected people are powerful. Here’s what’s fascinating—most people in business don’t do this. That gives you a great opportunity to jump ahead of your competition. All you need to do is ask. Just about everyone in business knows the importance of referrals. However, the reality is in our experience, only one out of ten small businesses or large companies has a system for gathering referrals. As all top businesspeople know, asking for qualified referrals is an important part of an overall marketing strategy. It’s a habit that will dramatically increase your income. Like any other habit, it requires that you do it often, and then eventually it will become easier as you do it more often. This strategy might seem simple but it’s often forgotten. Many people lose thousands of dollars in sales every year because they have nothing more to offer after the initial sale. Look for other products or services to add to your portfolio. Also, develop a system to determine when your clients will require more of your own product or service. Remember that business grinds to a halt when you stop asking. When you consistently ask for more business, you rapidly gain momentum. Regular business activities include negotiation and the opportunity to renegotiate. Many people get stuck because they aren’t very good at this, but it’s another form of asking that can save you a lot of time and money. All sorts of contracts can be re-negotiated simply by asking. As long as you do it ethically and in the spirit of win-win, you can enjoy a lot of flexibility. Nothing is ever cast in stone. If your situation requires change, ask for it. This is another important component of asking that is often overlooked. How do you really know if your product or service is meeting the needs of your clients and customers? Set up regular customer surveys that ask good questions, and include the tough questions. You could even consider a monthly focus group where you can meet your customers face-to-face. If you supervise a team of people or run a large organization, ask the people you work with for ideas. No matter what type of industry you work in, you’re surrounded by people who can give you valuable feedback. All you need to do is ask. Vague or fuzzy questions confuse listeners, making it difficult for them to provide the information or help you desire. Be precise in your asking. Think clearly about your request, and take time to prepare. Use a notepad to pick words that have the greatest impact. Words are powerful, so choose them carefully. For example, if you throw the “How am I doing?” question out without specifics, it may take time for the other person to understand what you’re talking about. People who ask confidently get more than those who are hesitant and uncertain. When you’ve figured out what you want to ask for, do it with certainty, boldness, and confidence. Practice in the mirror if you have to, or write out your question in advance. Be prepared to hear the unexpected or unwanted. Don’t get defensive if you hear something you don’t like or that makes you uncomfortable. It’s good to get a little uneasy once in a while upon the observations or insights of others. They will inspire you to stop, reflect, and take steps to make a shift for the better. Top producers know that they can’t quit if they ask once and don’t get a good response. In prospecting, for example, there are usually four or five “no’s” before you get a “yes.” If the approach you’re using doesn’t seem to be working, try a different way of asking and keep asking until you find the answers you want. For example, if you find a co-worker is reluctant to offer an opinion when you seek feedback about your performance on an important team project, you can ask another team member who is more receptive to the question, or rephrase how you are asking the question and try again. Because people don’t normally go around asking others for opinions on how well they are doing, it’s not a question typically heard. So be prepared to ask over and over again before you hear a clear—useful—answer. In this age of global competition, your asking may get lost in the crowd, unheard by the decision-makers you hope to reach. The way around this is to ask in an unusual way. Use your creativity to dream up a high-impact presentation. Bear in mind that asking someone to stop and evaluate you can seem awkward or time-consuming. Show respect for them first and find the ideal time to ask the question. Like speaking a different language, asking takes continual practice until it becomes a regular, reflexive habit. The sooner you build your Ask Muscle, the sooner you’ll see results you’ve been waiting and searching for. Remember that asking does not relate only to work-related goals and tasks. Bring this practice home with you to enrich your relationships with your family members, and your friends. 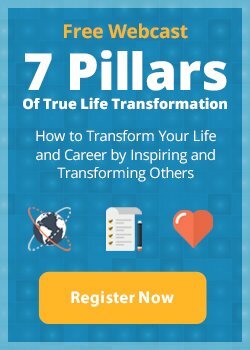 You’ll be surprised and delighted at what you discover about yourself in this process – and at the greater results and satisfaction you’ll gain in all areas of your life. Who Can You Get Feedback From Right Now? Keeping these 7 strategies to increase your business by asking in mind, I want to leave you with a bit of homework to complete after you’re done reading this article. Write down 3 areas and 3 people that you can get feedback from. Then write down what you will ask them for feedback about, and exactly how you plan to ask them. If you want to learn how to lay the foundation for a more joyful abundant life, click the button below to get the first two chapters of my book, The Success Principles for free. Learning these will help you set clearer goals and help you produce outcomes the YOU want to experience.